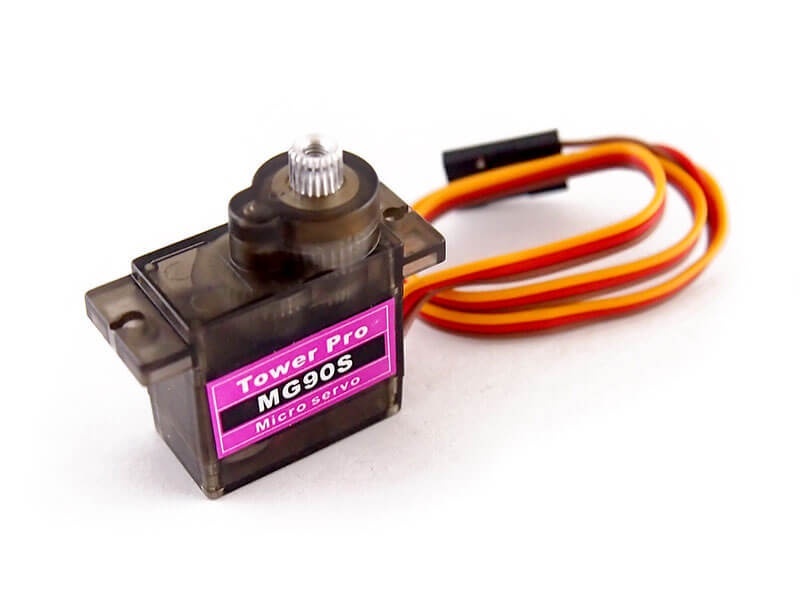 This micro servo rotates 360 degrees fully forward or backwards, instead of moving to a single position. You can use any servo code, hardware or library to control these servos. Good for making simple moving robots. Good for beginners who want to make stuff move without building a motor controller with feedback & gear box, especially since it will fit in small places. Of course, its not nearly as strong as a standard servo. It works out of the box with the default servo example from Arduino. 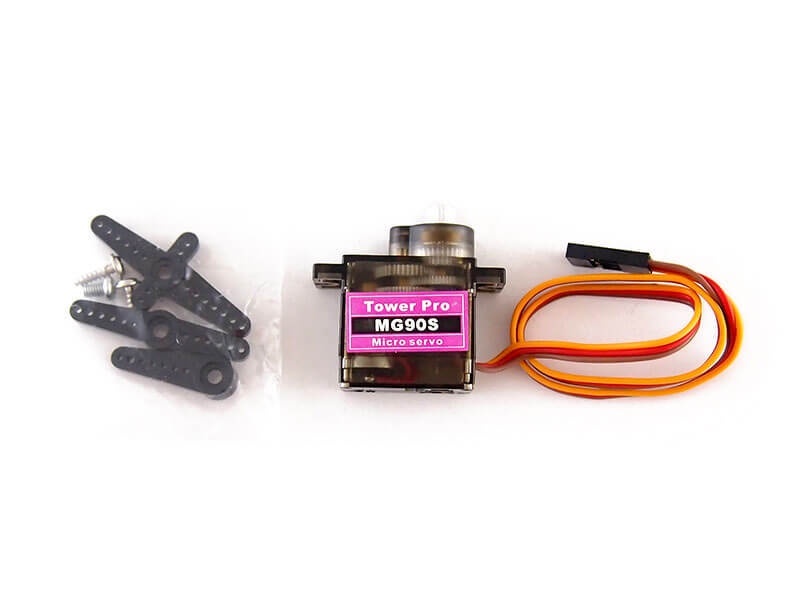 Included with this motor is a pack of accessories so you can attach the servo to your project. To control with an Arduino, we suggest connecting the orange control wire to pin 9 or 10 and using the Servo library included with the Arduino IDE. Position "90" (1.5ms pulse) is stop, "180" (2ms pulse) is full speed forward, "0" (1ms pulse) is full speed backwards. They may require some simple calibration, simply tell the servo to 'stop' and then gently adjust the potentiometer in the recessed hole with a small screwdriver until the servo stops moving.